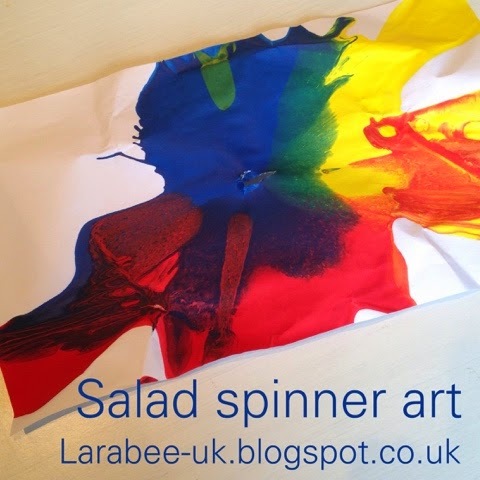 This weekend we tried to make a 'colour wheel' using the salad spinner. 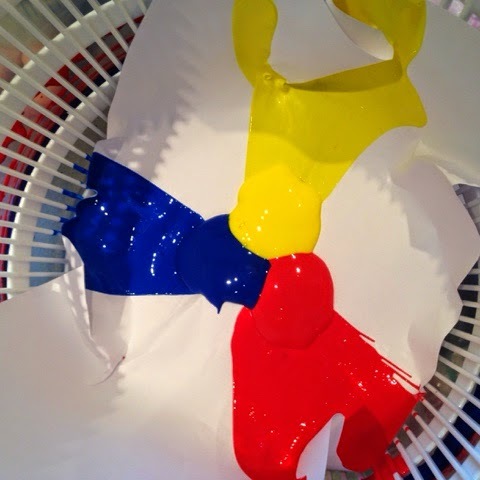 It didn't quite work out as a colour wheel and the secondary colours we talked about didn't quite appear as I'd hoped but we still had loads of fun! 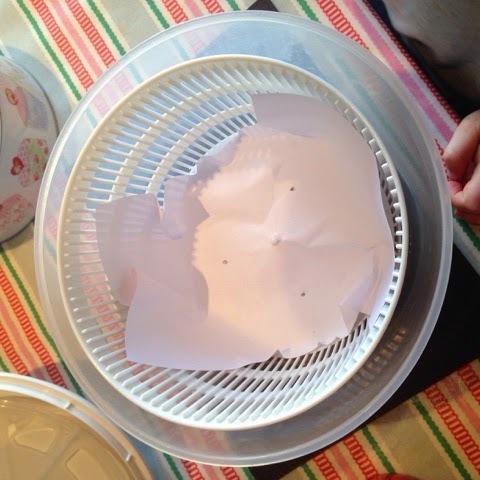 I drew 3 dots on a piece of paper and placed inside the salad spinner. 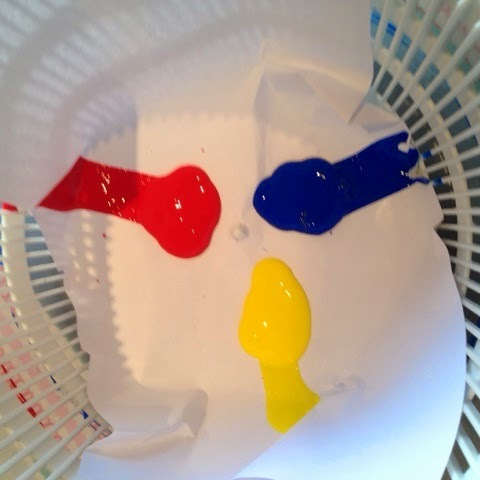 At first T put some paint on each of the dots and we gave it a good old spin. We obviously didn't add enough paint the first time, so we added more, just a little closer to the centre though. Again, it wasn't quite right and so we added LOTS right in the centre and SPUN!!!!!!!!!!!! 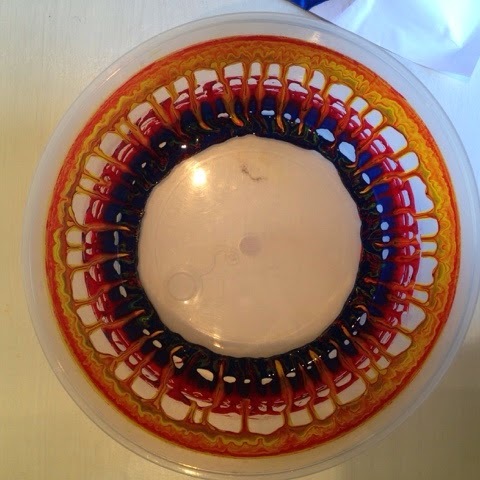 Even the salad spinner looked great when we finished. 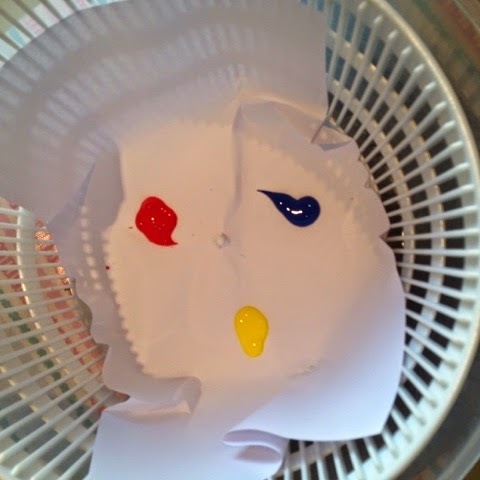 I think you need the paint to be a little thinner to achieve a proper colour wheel affect but we loved what we achieved and it was something we could all do together. What a great idea. And I love the resulting artwork! 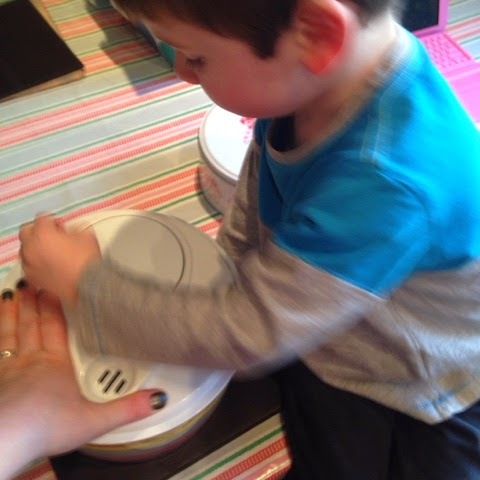 What a great and yet simple idea to do with things you have in the house! Thanks for sharing!